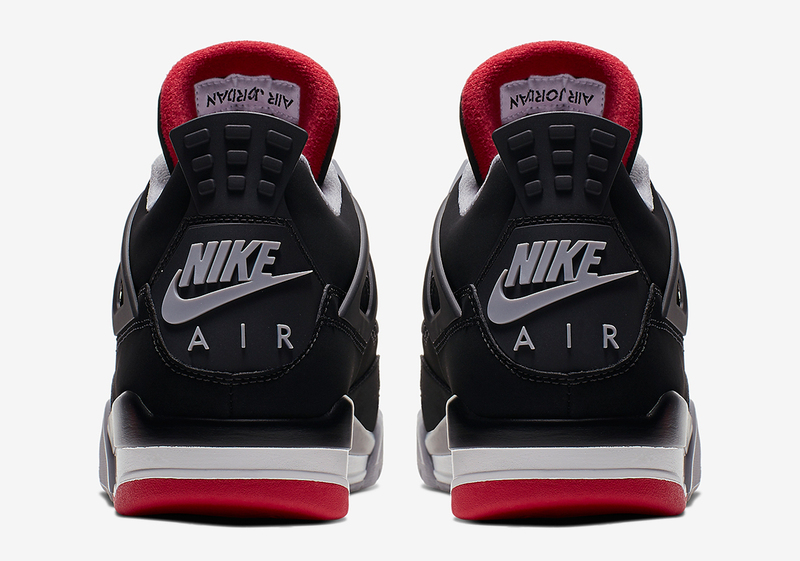 2019 marks the 30th anniversary of the Air Jordan 4, so to celebrate the iconic silhouette’s storied history, Jordan Brand is bringing back the beloved “Bred” colorway with all its original detailing. 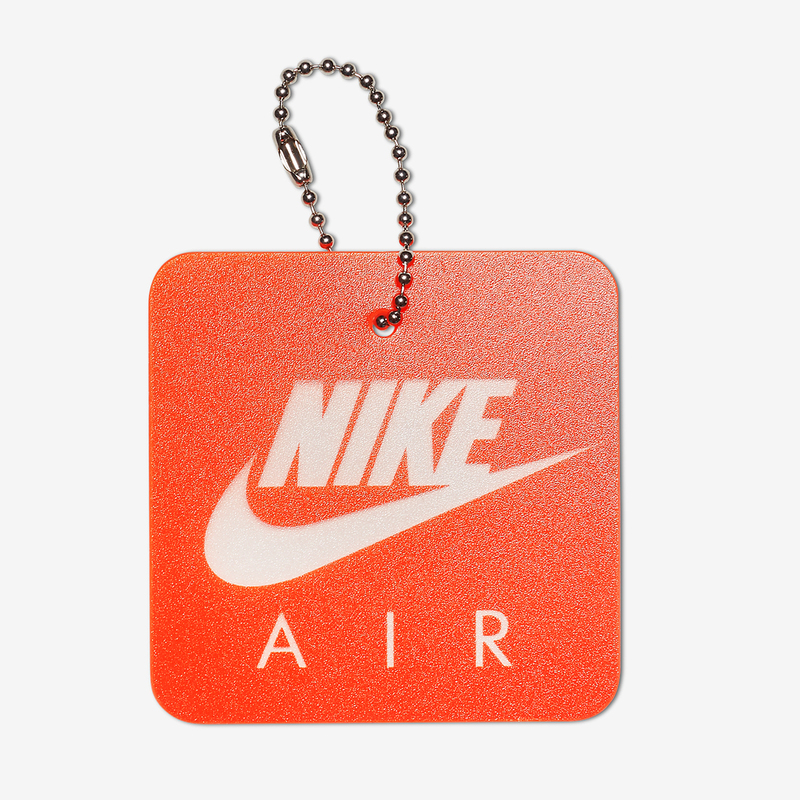 Although all the shoe’s classic flourishes — from the black nubuck upper to the bold fire red/cement grey accents and orange hangtag — are present, the shoe’s most compelling embellishment is unquestionably the large Nike Air hit on the heel, a detail that hasn’t been seen since 1999 and was replaced by a Jumpman logo when the “Breds” last released in 2012. Also known as the “Black Cement,” the shoes were on Michael Jordan’s feet when he hit “The Shot” in the 1989 NBA Playoffs against the Cleveland Cavaliers, one of the most iconic moments of his career. 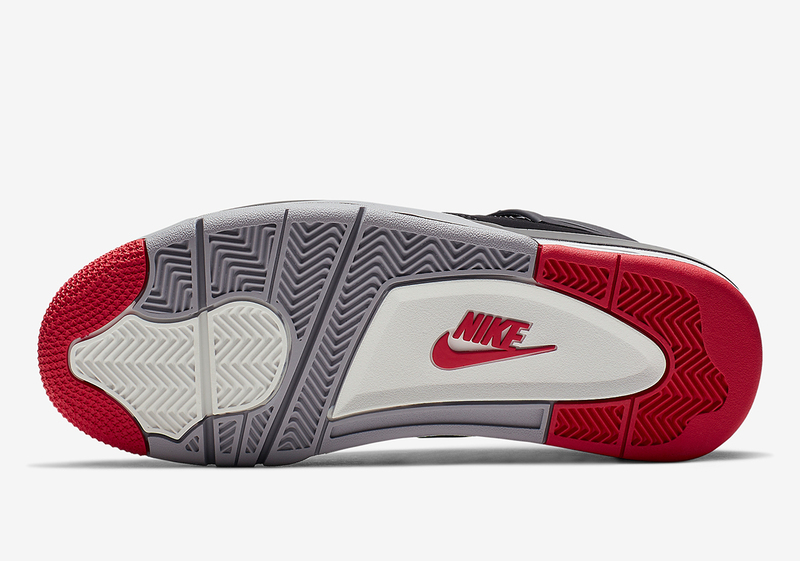 They’ve remained a favorite of Jordan fans the world over ever since. 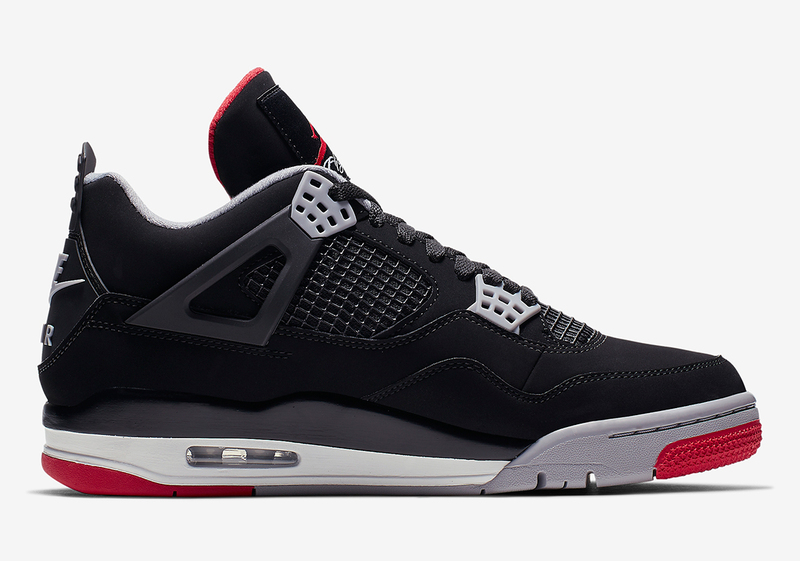 Feast your eyes on a full set of official images below, and look for the Air Jordan 4 Bred to release on Nike.com and at Jordan Brand retailers on May 4th for an even $200 USD. 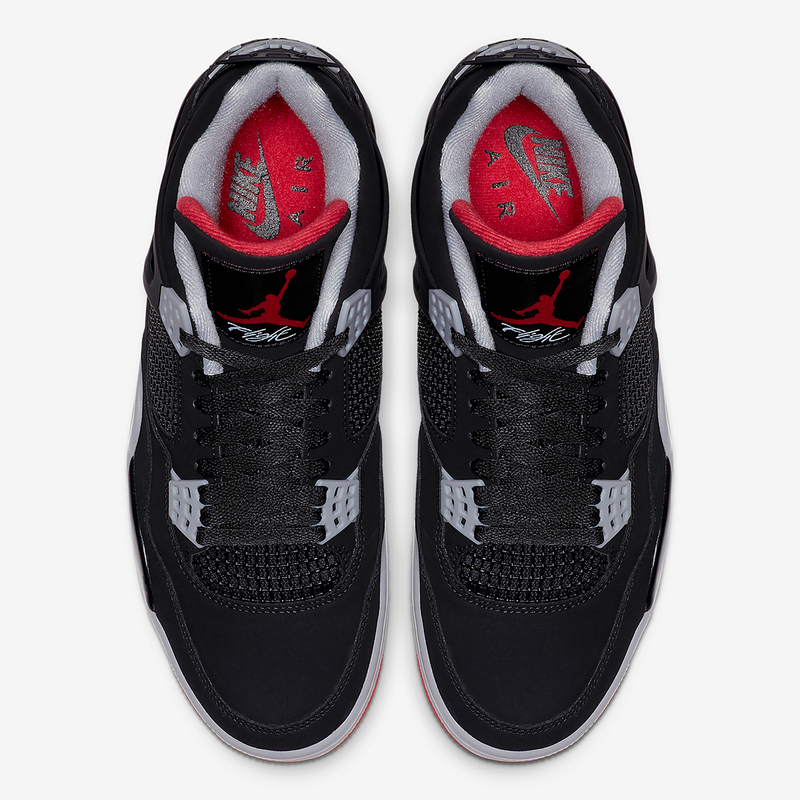 The post Official Images Of The Air Jordan 4 "Bred"
The post Official Images Of The Air Jordan 4 “Bred” appeared first on Sneaker News.